A casual career app with less hassle for people who work in the digital world. Launching in Prelaunch extended for 5 more days. Subscribe for early access. Don't worry, we'll use your email only to notify you when the new app is out. 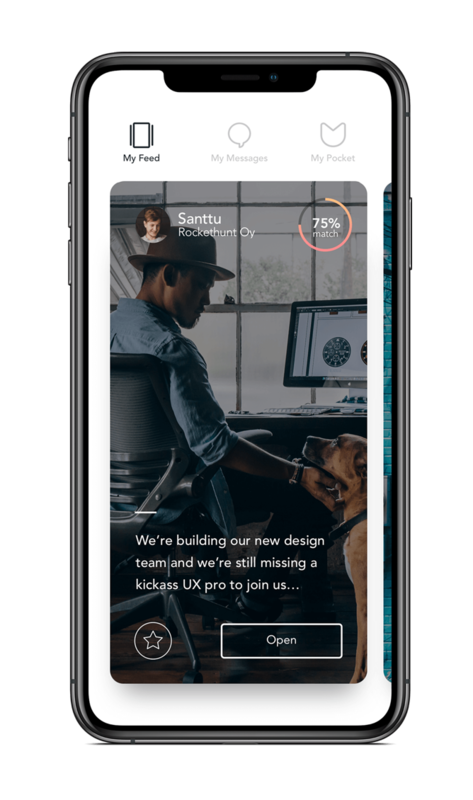 Pockethunt is about quick, casual and private communication between professionals and employers, powered by personalized matching. It's your #1 app to reveal the hidden job market of the future. Browse through your personalized poster-feed, created by employers and recruiters. Posters are career opportunities matched for you. Start an anonymous chat with any employer or wait for them to reach out to you. Stay anonymous - or don’t. The best way is your way. 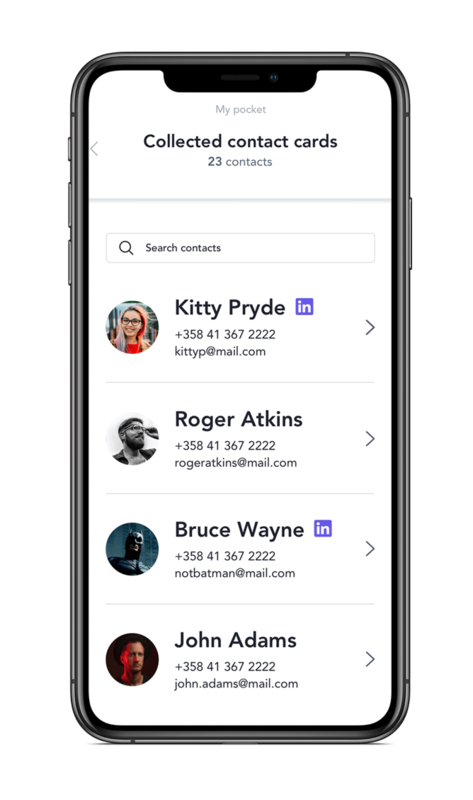 Exchange contact cards with employers and recruiters with one tap after having a chat, if you wish. It’s about creating connections for the future. Pockethunt is about quick, casual and private communication between professionals and employers, powered by personalized matching. It's the #1 tool to check out the hidden talent market fast, easy and for free. Forget about job ads. Choose the effortless way. Posters is the fast track to reach out to relevant talent in a fast and casual way. It’s as easy as creating a social media post. Whether you’re looking for a good hire starting next week, or creating a talent pool for next year, it’s always smart to have a quick chat with talent perfect for your team. Exchange ‘pocket cards’ with interesting talent with one tap after having a chat, if you wish. It’s about creating connections for the future as well as for now. It’s more than just a policy, it’s the foundation of our service. 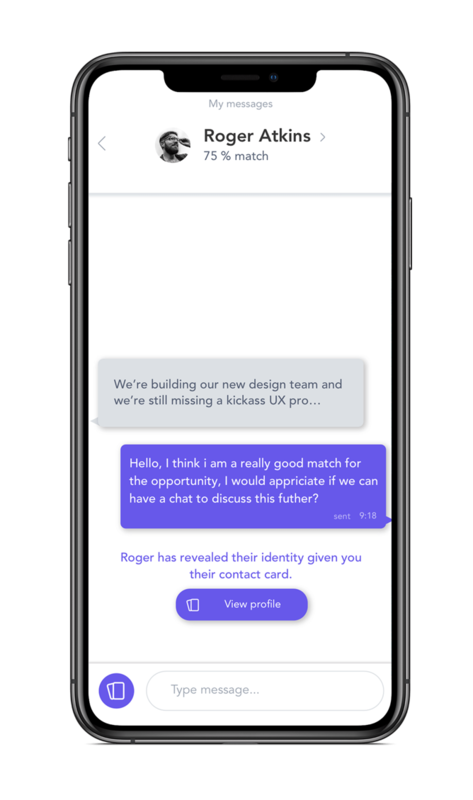 In addition to offering a secure environment and not providing your identity information to third parties, our basic app functionality includes the possibility to be completely anonymous when chatting with an employer or recruiter. You decide, whether you want to reveal your identity and share your contact information. We are sure you have questions. Here’s is a list of the most common questions we are asked. If you don't see your question, please don't hesitate to reach out to us. What do you mean by a casual career app? What makes it casual? By casual, we mean that we offer a platform without job ads, without heavy recruitment processes or formal interview-like conversations. We want our users to be able to chat in a modern fashion without formal barriers. What do you mean by ‘hidden job market’? What are the ‘posters’ in my feed? Posters, which resemble social media postings, are created by recruiters to initiate chats with professionals in private chat rooms. They are like conversational icebreakers. Pockethunt has been designed and developed in Finland, so we know a thing or two about the need for icebreakers. How can I opt-out from being matched or contacted by employers? Just go to your settings by tapping ‘My Pocket’ in the upper menu, and select ‘deactivate account’ in your profile. You can change it back any time you like. Why can’t I post a full-length job ad in Pockethunt? This is due to our core value proposition. It wouldn’t be in the best interest of the community, as Pockethunt is a quick, casual and more social way of finding new career connections and talent :) Our matching takes care of what job ads were meant to do before. Why is Pockethunt free-of-charge for recruiters too? We are growing a completely new community and way of recruiting, so having a low threshold to signing up to acquire new users, is important. But yes, in order to keep the lights on in our office, we will be creating paid premium memberships with additional cool features in the future.